Show a completely empty and transparent glass. Drop a ball inside to show it naturally rolling inside. Remove the ball and cover the glass with a hanky. Place a coin on top of the hanky, allowing the hanky to fall to the bottom of the glass. Then drop the ball back into the glass. 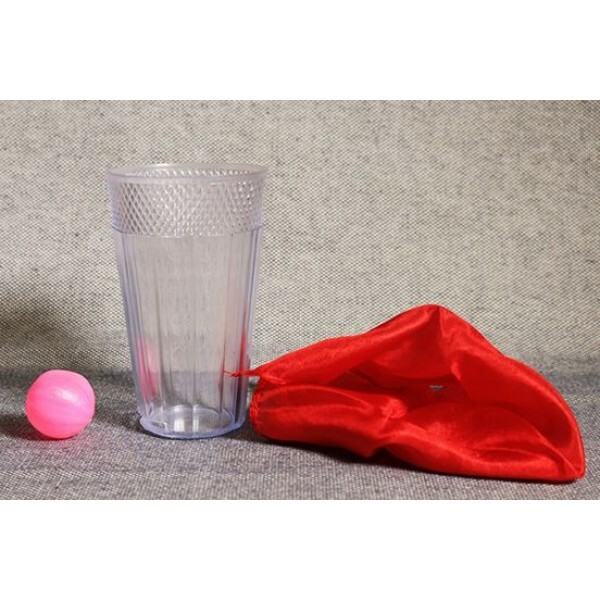 Incredibly, you'll be able to pull the hanky out of the glass from the BOTTOM, revealing that the coin too has traveled through the bottom, whilst the ball remains inside the glass!